For all you dreamers out there. 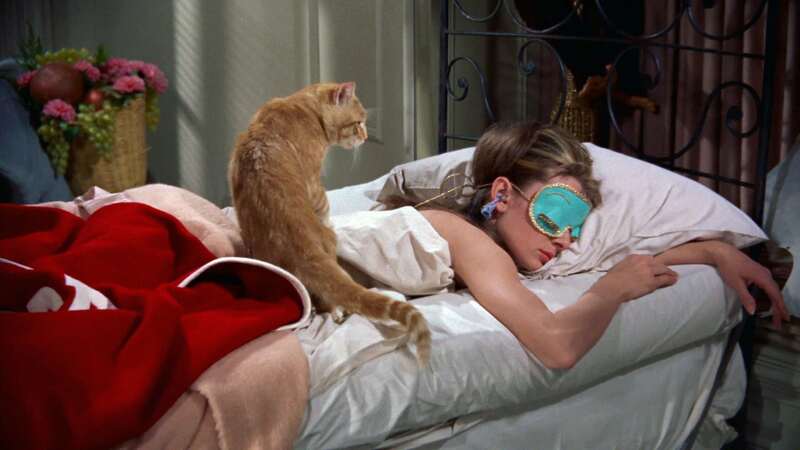 This week we discuss exactly what’s going on while you are dreaming about marrying your celebrity crush and/or being chased by scary monsters. Dreams have been somewhat of a mystery for as long as humans have been dreaming, dating back to up to 5000 years. Oneirology aims to decode the puzzle by studying dreams. Here’s what science knows: The bulk of dreaming occurs during rapid-eye moment (REM) sleep, which is considered the deepest phase of sleep. In this stage, the eyes are actually in continuous motion and the brain exhibits high activity. Many times your dreams may be crazy and fantastical because your prefrontal cortex, responsible for logic and reasoning, shuts off, and your limbic system, which controls your emotions, remains very active. 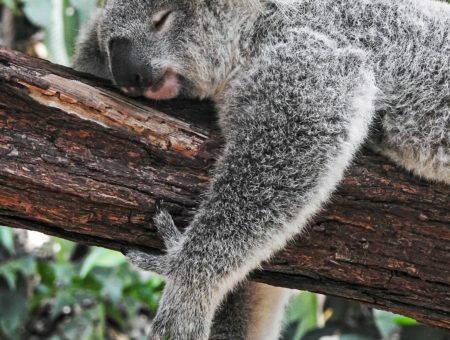 Though your dreams may be vivid while you are sleeping, it may be hard to recall them because your memory creation processes shuts off during this stage sleep. So you may be wondering: why do we dream? Well, there are many theories for the reasons behind dreams. The classically cited Freudian theory asserts that dreams express hidden desires and emotions. This reasoning might apply when you dream about floating in caramel, snacking on Biscoff cookies. (Is that just me?) But what about when you have nightmares about failing exams or standing in your underwear during an important presentation? Some psychologists believe that nightmares may be due to lingering distress from a traumatic event, or they may be a defense mechanism to “prepare” you for an upcoming high stress situation. This would mean dreams are a way of exploring different ways to solve a problem (although you may have to suffer through imaginary humiliation for some period of time). 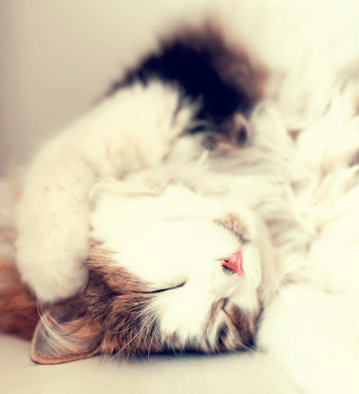 Another reason behind dreaming may be memory formation and random brain activation. This is the basis to the statements that sleeping is good for studying for exams. The continual-activation theory postulates that the unconscious part of your brain is converting your daily short-term memory into long-term memory, but the conscious part is still functioning with low activity. As the memories are processed past the still-conscious region, you would react to the memories; your brain would somehow rationalize the seemingly disjointed transitions between continuous snippets of different dreams. Dreaming may be a source of inspiration for artists as well as mathematicians. This is the concept of Oneiric Darwinism in which a bunch of random thoughts are generated in the mind through dreams, and only some of them prove as useful ideas to the dreamer. Some may believe that their dreams are prophetic, but studies have largely shown that these are just products of subconscious observations, unknown to the sleeper, that logically predict future happenings. Forgotten dreams may also be the source of déjà vu moments, in which you are in a situation for the first time, but you feel as if you have been there before. 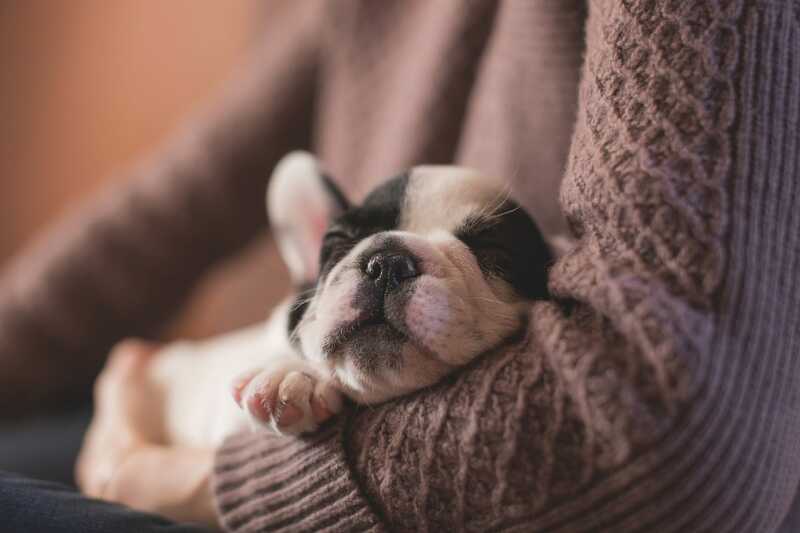 A final cool feature of dreaming is the possibility of lucid dreaming, which is when the dreamer is aware they are dreaming and can control the environment around them or move around within their dream. Some people train themselves to be able to do this, but disclaimer: it may require a lot of work! Now that we have explored the prominent theories for dreaming, let’s move on to the outfits! 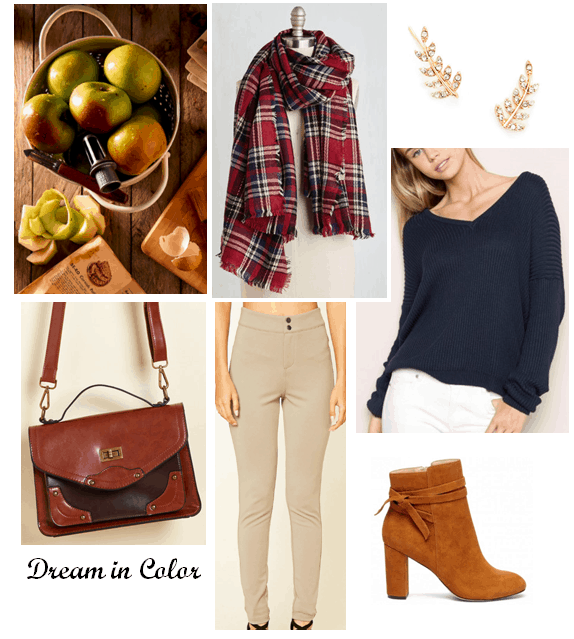 This outfit is perfect for a fall date night. It features a cozy turtleneck sweater paired with this romantic little number in a muted blush tone. 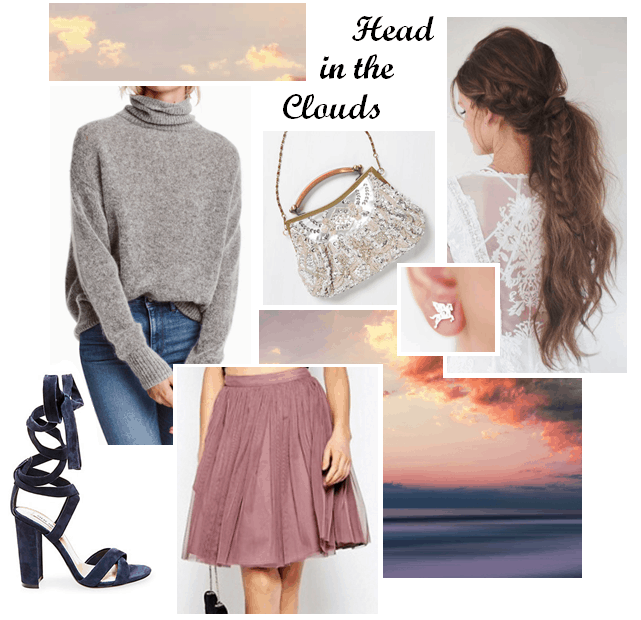 The layers of tulle add that hazy, dream-like vibe, and the cozy sweater will have you feeling like you’re floating on cloud nine. Wear these dark blue lace-up heels, then tie your hair up into a laid-back ponytail with small delicate braids here and there. Accessorize with this luxe clutch and these delicate Pegasus earrings that’ll make you feel like you’re living in dreamland! This outfit is a little more formal but super wearable for any day you feel like killin’ it in your classes. It was inspired by the antithesis of the classic “standing unprepared in your underwear in front of an audience” nightmare. The outfit includes a lacy satin tank top, that is reminiscent of fancy undergarments that are embarrassing in your dreams but are going to up your look in this case. Over top is a structured gray blazer that adds structure paired with classic black skinnies. The gold block heel on these booties amps up the look and brings out the gold hardware on this large purse in which you can throw all your stuff. Now you are ready to ace that presentation! Here’s another fun fact about dreaming: about 20% of people claim to only dream in black and white, while most people dream in color. This outfit is dedicated to the latter. First I paired this deep blue slouchy sweater with comfortable high-waisted jeggings. Then I added a splash of red with this cozy blanket scarf that will keep you warm in chilly days. This leather satchel adds a vintage element to the look, and these mustard booties add another pop of color on your feet. Little leaf branch earrings are just another reminder that it is one of the best times of the year. This look would be perfect for apple picking, pie baking, hay rides, you name it! What is your favorite fall activity? Do you have any crazy dreams? Let me know in the comments below!